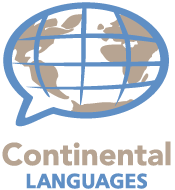 By offering Video Remote Interpreting , Continental Languages, LLC, links our clients with the cutting-edge technology in the language services industry. Video Remote Interpreting provides yet another practical option in bridging the communication gap with ease. Whether your profession is legal, medical, government, education or business, as long as you have access to a desktop, laptop, notebook, or almost any Smart device with a web camera, you have access to Video Remote Interpreting–within moments. Get the face-to-face experience of an on-site interpreter via a virtual environment. Another great feature about Video Remote Interpreting is its cost-effectiveness. With Video Remote Interpreting’s advanced technology and convenience, it is no longer necessary to always schedule an on-site interpreter, now most are available on-demand. As a Continental Languages, LLC, customer you can easily access our Video Remote Interpreting service. Once assigned your log-in and password, you will have immediate, 24/7, access to both Spanish and American Sign Language (ASL), as well as a dozen other languages for which we can provide Video Remote Interpreting service in as little as 24 hours with advance notice. Features also include the ability to choose from a selection of language preference options specific to your industry. We expect excellence from our interpreters, as they do of themselves. That excellence is ensured through required training, industry specific knowledge, professional certification and native fluency. An understanding of our company-wide Code of Conduct is ever present when an interpreter is servicing a client, and is fortified by means of our Non-Disclosure Agreement that each interpreter must sign. Each time you utilize Video Remote Interpreting, you can be assured reliability, professionalism, expertise, and confidentiality. Contact our staff today to learn just how economical Video Remote Interpreting can be for your business. Our packages are customized to fit your industry, your volume, and your budget.